Emily Hausladen is a Licensed Professional Counselor and currently serves as the Clinical Director for all of the Longbranch Healthcare programs. A Wisconsin native, she attended the University of Wisconsin-Stout where she received bachelor’s degree in Psychology with minors in Human Development and Family Studies and Human Resource Management. After completing her undergraduate degree, Emily moved to South Louisiana where she attended Southeastern Louisiana University. In 2013, she earned her Master’s degree in Marriage, Family, and Couples Counseling. Emily has a wealth and variety of post-graduate experience working with adults, adolescents, couples and families who are suffering from mental health and addictive disorders. Much of Emily’s experience has been assisting families recover from the devastating effects of addiction on the family unit. 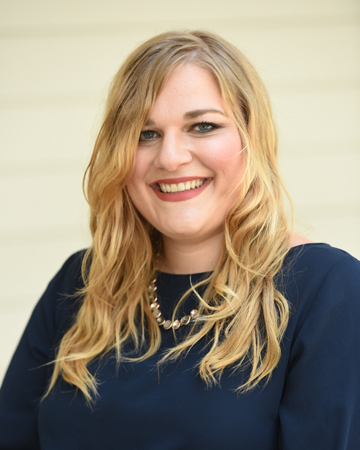 Emily is energetic and passionate about improving care in the state of Louisiana and assisting client’s and families who are suffering recover. In addition to clinical experience, Emily brings a warmth and compassion into her work with client’s and their families. Emily utilizes an eclectic approach to best fit each client’s needs and draws from family systems models, mindfulness, cognitive, and solution-oriented therapies.